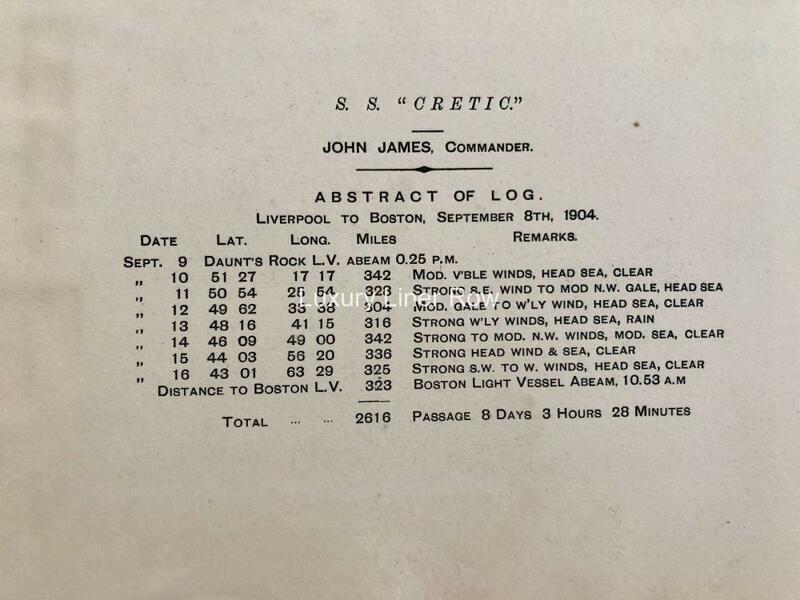 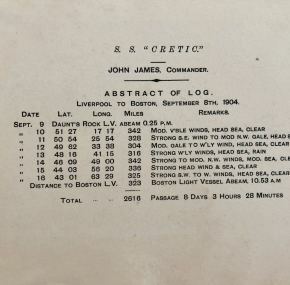 Rarely do we see anything for the White Star liner Cretic, but here is a color log abstract from her. 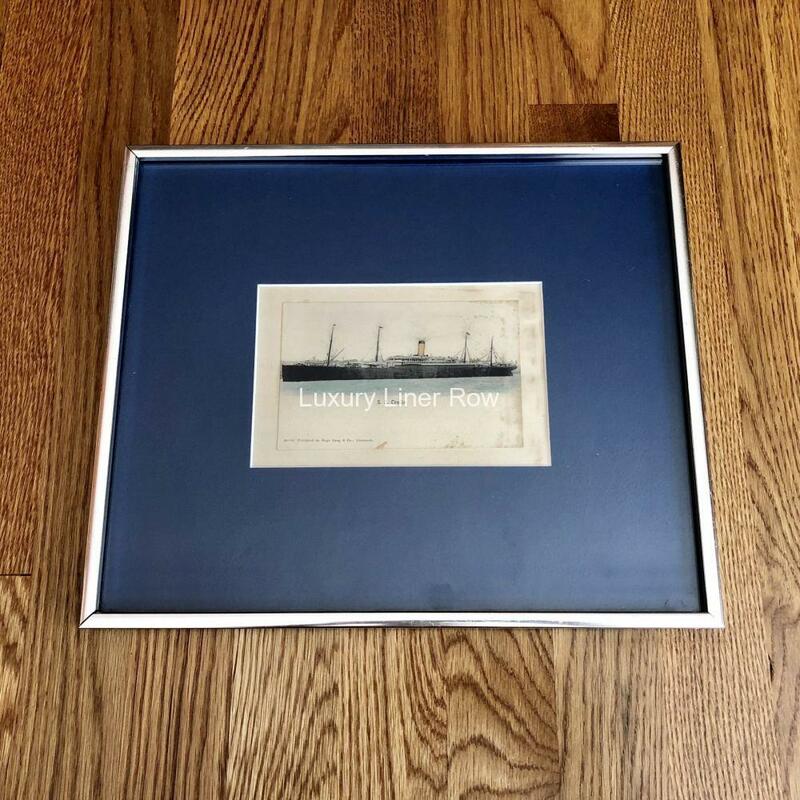 Dated September 8, 1904, it is framed and matted. 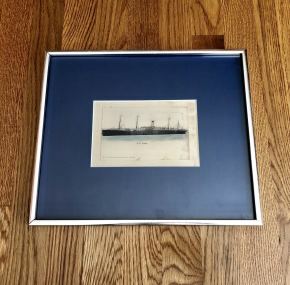 Frame measures 13″ x 11″.